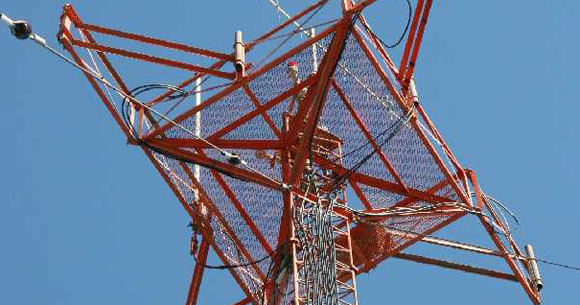 A platform tower with 4 swingout mounts used for 4 (90*) sectors antennas or used for phased verticals. 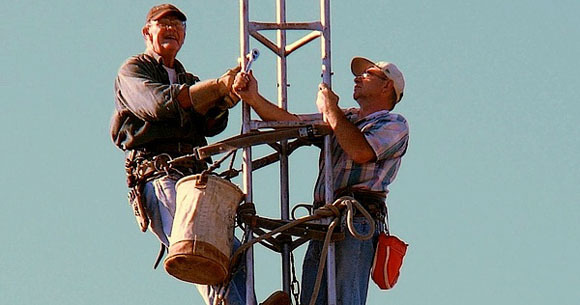 On the job, assembling a medmium height tubular amateur radio tower and antenna. 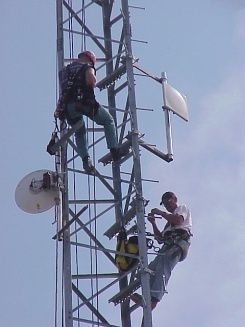 Installing side mounted sector antennas and Heliax Cables on a 400 foot commercial tower. 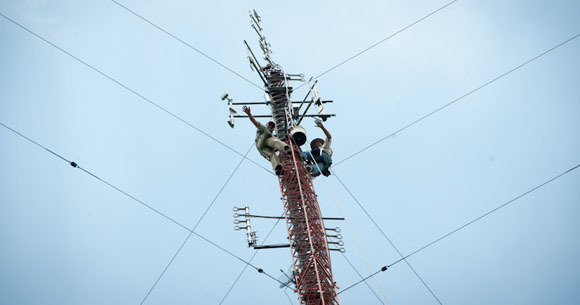 A side by side tower replacement, installing a 250 foot guyed tower before disassembly of the old tower. 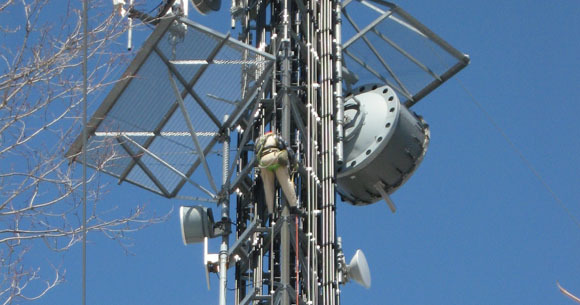 Guthries Mechanical Services is your specialist in communications infrastructure systems. Serving the GTA and Southern Ontario area for 40 years, our experienced staff will get the job done with quality and safety foremost in mind. We provide cost-effective and innovative solutions for all your communications needs, including cell, mobile radio, paging, wireless internet, security infrastructure, and amateur radio. Our services cover everything required to provide the complete installation of your communications system, from site preparation and foundations, to cabling and support structure installations, and maintenance. We specialize in RF (radio frequency) electronics and technical services, and our staff is fully insured, and licensed in fall restraint. Give us a call or send us an email if you'd like to discuss your project with us. We're always happy to give advice and a more detailed description of our services and costs. Call us on 416 272 7369 or 905 294 2558 or use the contact form on our Contact page to send us a message. These guys are the business. Professionals who get the job done and have never let us down.